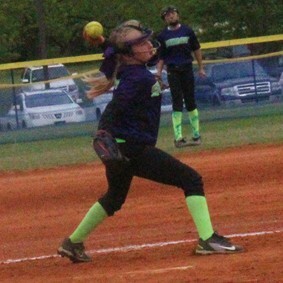 Surge fastpitch was in Cordele Saturday for the USSSA "G.R.I.T.S. Warmup or Cooldown." The team went 1 and 2 in pool play. 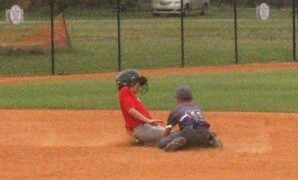 Their bats never got on track in their first bracket game against Middle Georgia Elite, losing 5-1. Abby Wiegert at the XCEL state meet. 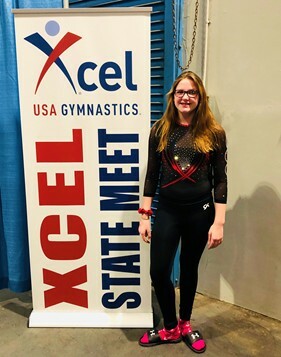 Seventh grader Abby Wiegert placed third overall at the USA Gymnastics Georgia XCEL State Championship April 13. As a result, she earned a birth to regionals May 3. Click for more. 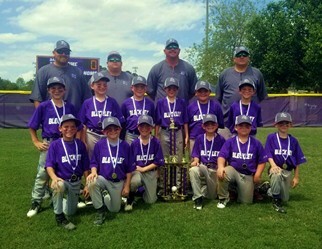 The 9u Bleckley Bullets were down 9-1 at one point to the Knights in their first bracket game. BC tried to rally, but fell 10-9. 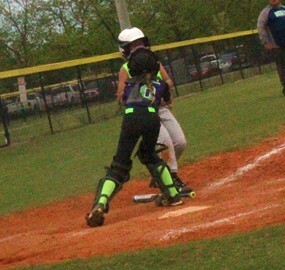 Surge Fastpitch 10u went 1-1-1 in pool play. One highlight was pitcher Rayea Dominy throwing her first career no-hitter. Wins against Rampage and Game Changers put them into the title game against the Knockouts. 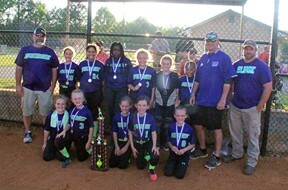 Though losing 16-1, Surge picked up their first trophy, second place. The team is pictured with coaches Dylan Barton, Chris Adams, and Brett Mitchell. 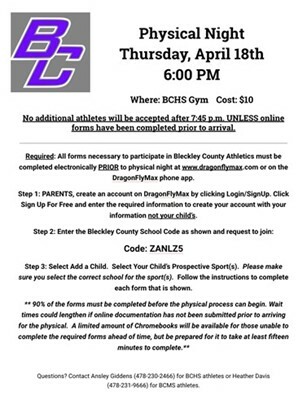 Information about athletic physicals for middle, high school students being held at BCHS April 18. Information about upcoming BCHS, BCMS cheer tryouts. Click to read dates and other information about upcoming tryouts for Bleckley County High School competition and football squad as well as Bleckley County Middle School football amd game squad cheerleading.